Surrounded by tulips (naturally), this charming windmill is the perfect do-it-yourself project for the yard or garden. With its Old World look and blades spinning in the breeze, the project adds a colorful accent and eye-catching motion that complements any landscape. The windmill features realistic details like diminutive doors, windows and a guard rail, and the turret is mounted on a lazy-susan bearing so the vanes will catch even the slightest breeze. Designed to be easy enough for almost any woodworker, the project features mostly straight cuts, full-size traceable patterns for the angles and modular construction. To build, trace the pieces from plywood and standard lumber and cut everything out. Next, assemble using glue and nails, and paint the base, tower and vanes. To finish, put everything together, sit back and enjoy the breeze. The windmill stands about 35 inches tall from the base to the top of the rotating turret, but the project is light enough for one person to move aside when mowing the lawn. About U-Bild plans: U-Bild plans are ideal for woodworkers and do-it-yourselfers of all skill levels. Unique "trace, saw and assemble" designs feature simple-to-follow patterns (like sewing patterns) that produce professional-looking results. Create, Build, Assemble, etc. 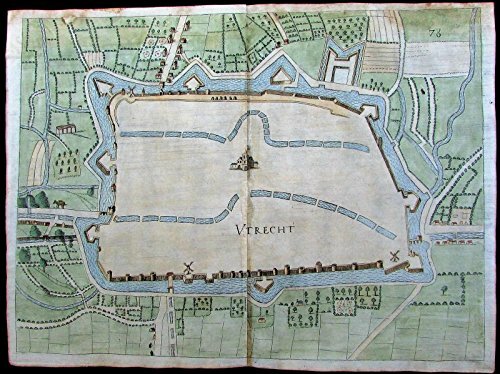 yourself with the help of this paper plan. 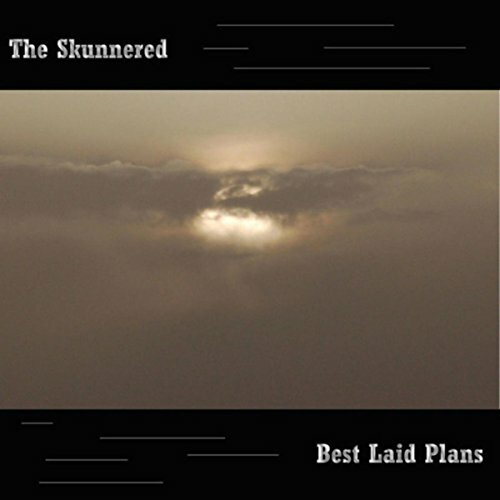 You get two plans for the price of one. Sizes are 30" and 44" tall, plus the height of the blades. 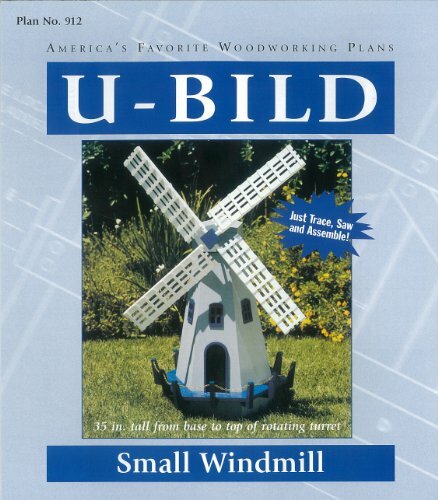 These windmills are a bit easier to construct for the beginner because the plans call for no mitered edges. Of course, if you are an experienced woodworker, you may choose to miter the edges. Not quite as fancy as our other windmills, these still make super garden projects. Plans include a materials list, assembly diagrams, instructions and full size patterns where needed. We do not carry bearing kits for these models and the plan does not call for specialized hardware (though it could be adapted). The plans do detail how to build the propeller assemblies so that they will turn with the wind. Use the painting scheme shown, or devise your own. 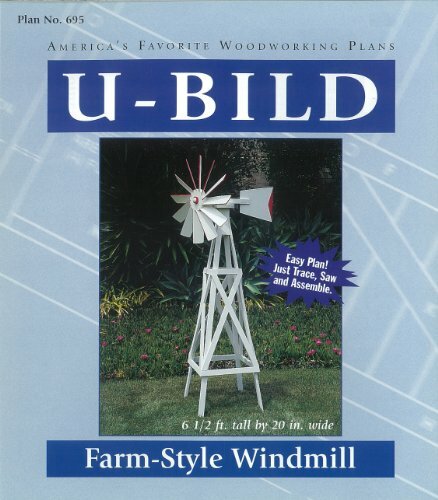 This farm-style windmill features 12 smooth-spinning blades and a vane. It pivots on a turret mounted on a lazy susan bearing, so the blades turn into the breeze. Simple to build, the blades and vane are traced from full-size patterns. The remainder requires straight cuts. Just trace, saw, assemble and paint. The farm windmill measures 6.5 feet tall by 20 inches wide. About U-Bild plans: U-Bild plans are ideal for woodworkers and do-it-yourselfers of all skill levels. Unique "trace, saw and assemble" designs feature simple-to-follow patterns (like sewing patterns) that produce professional-looking results. 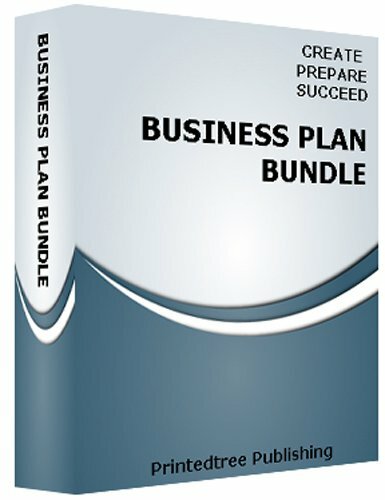 This bundle offers you everything you need including a sample windmill company plan, business plan template to quickly create, edit, and print an professional formatted business plan, step-by-step business plan guide to walk you through the processes of creating a business plan one step at a time, A business plan presentation template, financial statement worksheets covering cash flow, profit and loss, sales forecast, cost of goods, break even and market analysis for your business plan, essential business forms, sales letters, necessary business letters, and legal forms, and a resource directory featuring contact information of businesses, professionals, and public sources for more help. 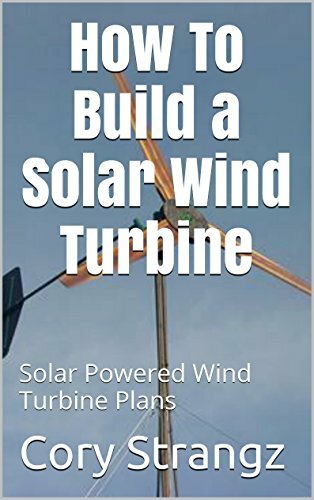 In this in-depth guide we will go over the steps and materials need to build a solar wind turbine. With energy bills going up more and more people are switching to solar power. 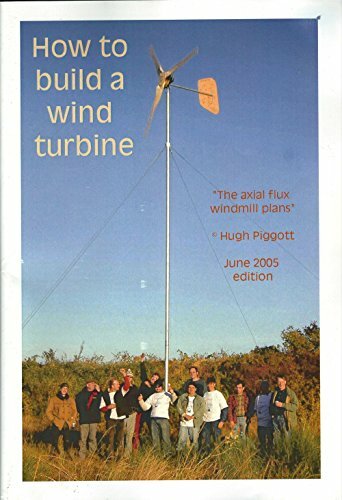 After reading this guide you will know exactly how to harness mother natures energy by building your very own DIY solar wind turbine generator. Discoveroo is a high-quality brand of Educational Wooden Toys Designed in Australia. Discoveroo products are designed to encourage more Creative Play; they stir up the imagination but the outcomes are not predetermined. This leaves the child to explore the possibilities and develop their mind. The products are always Natural and Simple. For young children, seeing how a toy works is an important part of understanding the world. The natural materials stimulate the senses in a way that processed materials cannot. 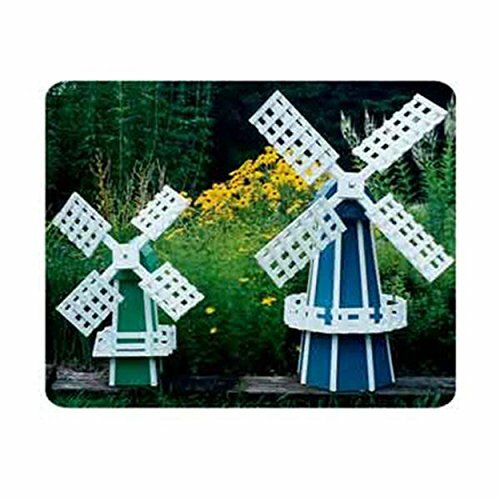 Compare prices on Windmill Plan at ShopPlanetUp.com – use promo codes and coupons for best offers and deals. We work hard to get you amazing deals and collect all available offers online and represent it in one place for the customers. Now our visitors can leverage benefits of big brands and heavy discounts available for that day and for famous brands.